This is my second recipe for the Lentil Contest. I wanted to test myself by creating all kinds of recipe with lentils, not just traditional types. One idea I had was to add a lentil puree to baked goods. Yes, I realize this may sound off-putting, but the lentils blend right in and are rendered tasteless, especially against the strong flavor of the chocolate. 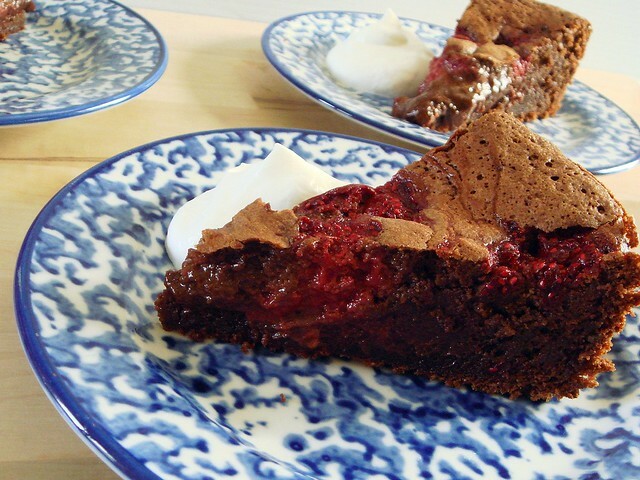 You simply end up with a healthier cake than other recipes. Start by making a lentil puree. I chose decorticated red lentils, which are lentils with their outer skins removed. They are quicker to cook and have a more neutral flavor. I chose the red lentils because they cook into a yellow hue, making it easier to blend into baked goods without changing the color much. However, this is a chocolate cake, so feel free to use any lentil variety available (as long as it's not pardina). You're looking for the lentils to be translucent. If the centers still looked colored, they aren't cooked through. Finally, the lentils are pureed until smooth. The finished consistency will be that of a pumpkin puree. I made this cake in the manner of a mousse cake. There is no leavening; rather, the cake gets its lift from the air beaten into the egg yolks, and the beaten egg whites that are folded in at the end. I used sweet rice flour for the binding, which is made from sticky rice. It has a high starch content that's good for thickening sauces and desserts. Sweet rice flour can be found in the Asian section of your grocery store. It can also be subbed out with all-purpose flour if you don't have a gluten allergy. 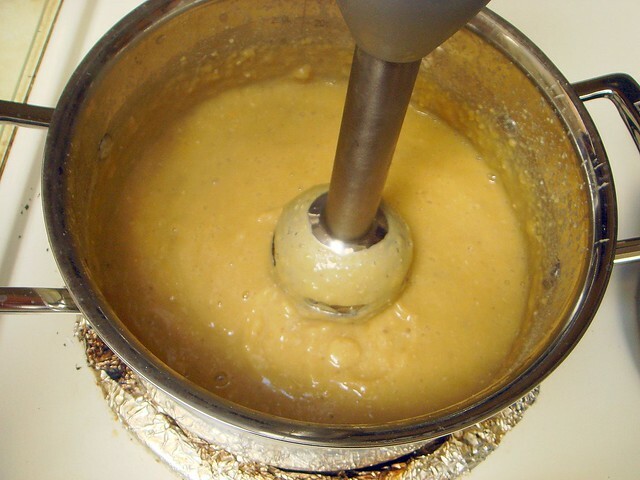 This is the batter after the lentil puree has been added. It looks exactly like a lentil-less cake, and tastes just like it, too. Only with this version you get more fiber, protein, and iron. Aren't lentils great? 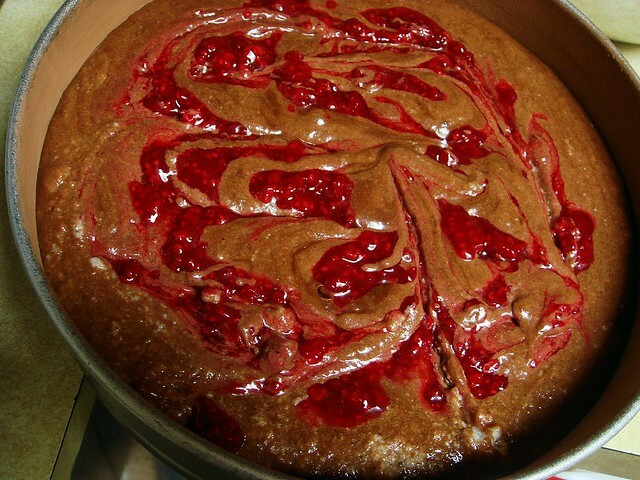 Once the egg whites are folded in and the batter poured into the prepared pan, smashed raspberries are swirled on top. After the cake is baked, the center will still be quite soft. This type of cake isn't baked thoroughly so that the center stays fudgy. This requires a rest time of at least 2 hours. It's a good cake to make ahead of time. You could probably even refrigerate the cake once cooled to room temperature, too. I admit that I had a little trouble with this cake. 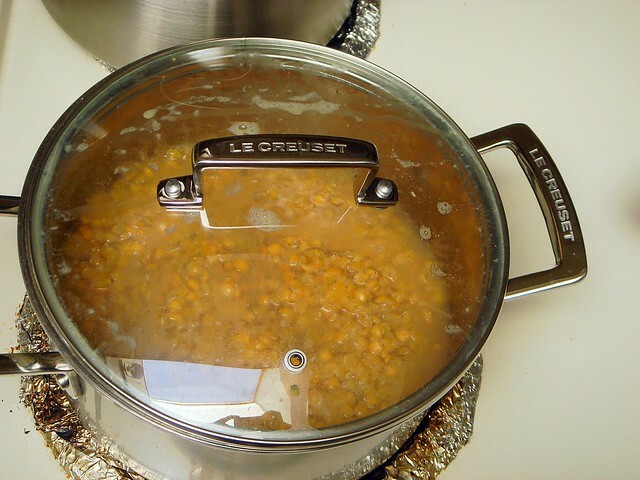 The first time I made it, it was delicious taste-wise, but I didn't adjust cooking temperature to account for the density the lentils would add, and it didn't quite set enough. So, to get it right, I made it again, this time lowering the oven temperature and cooking it a little longer. I also let the cake set for a few hours, which helped the cake hold up, making it easier to slice. Practice makes perfect, and it also means more cake! Preheat oven to 375 degrees. Grease an 8-inch spring form pan and dust with cocoa powder. In a medium size pot, add lentils and 2 1/2 cups water. 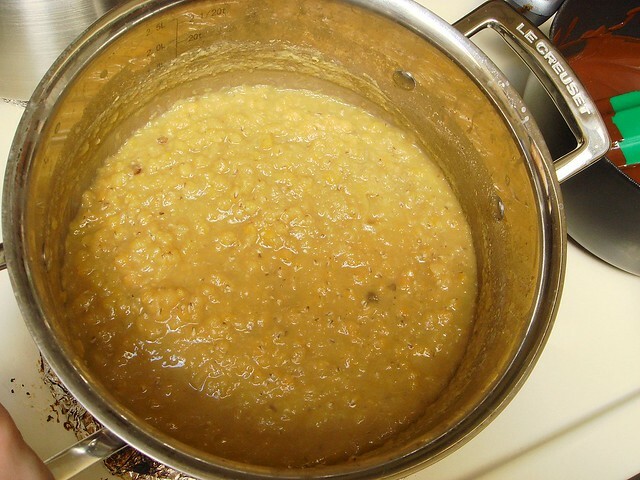 Bring to a boil; reduce heat, cover, and simmer until lentils are tender, about 12-20 minutes. Remove from heat and puree until smooth. Measure out 2/3 cup lentil puree, reserving remaining puree for another use. To prepare the raspberries, sprinkle with 1/2 teaspoon sugar and 1 teaspoon water; smash with a fork until smooth. Set aside. If still frozen, microwave raspberries in a bowl with 1 teaspoon of water for 15 seconds. Add the sugar and mash. In a medium bowl, beat egg whites until stiff peaks form; set aside. In a large bowl, beat egg yolks until thick on medium high speed, about 3-5 minutes. 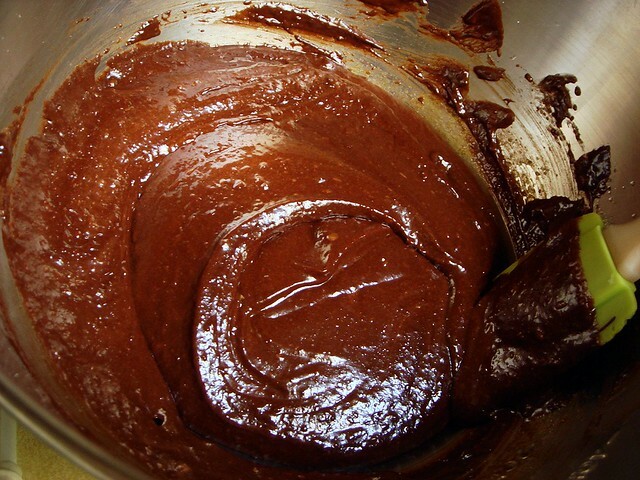 Gradually pour in sugar, espresso powder, and salt and beat for another minute. 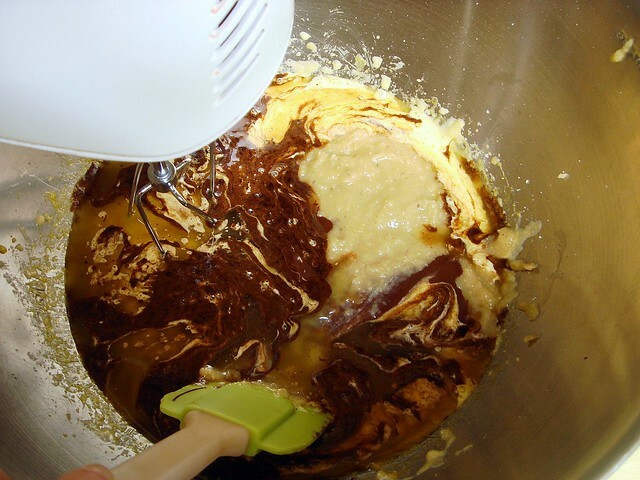 To the egg yolks, add melted butter, melted chocolate, lentil puree, and vanilla extract. Mix until combined. Fold in rice flour, mixing just until combined. Stir in 1/3 of the beaten egg whites to lighten the batter. Gently fold in remaining egg whites, just until blended. Some streaks may remain. Pour into prepared pan. Dollop top of cake with mashed raspberries; swirl with a butter knife. Place in oven and bake for 35-40 minutes. Sides will be set but center will jiggle a little. A skewer inserted in the center will have moist crumbs. Let cool before slicing. 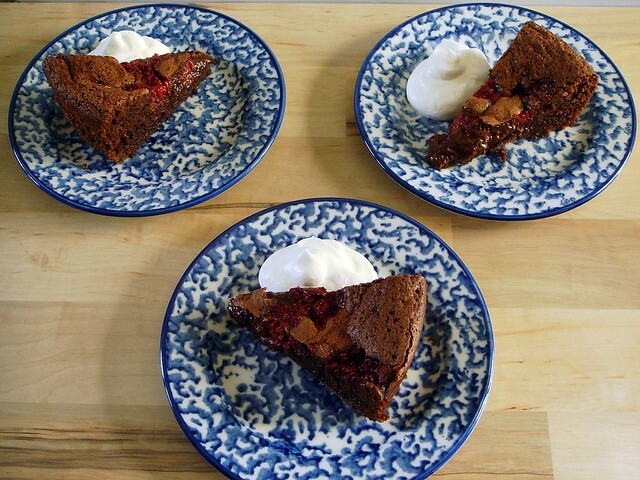 Serve with whipped cream and additional raspberries. Wow! I can honestly say I never knew you could use Lentils in a cake. And it looks like an amazing cake too! We use so much of those lentils in India, but only for savory dishes... I am so impressed by this! Great recipe... Thank you! This looks awesome, Christina. You are so creative! Any of your lentil recipes deserve to win. They all look great. Let me know if you need my vote! Okay so I just popped over from another blog...and that cake looks delicious! Can't wait to try..New follower!! Thank you, guys! Your comments mean a lot. I could have sworn I already posted a comment on this.